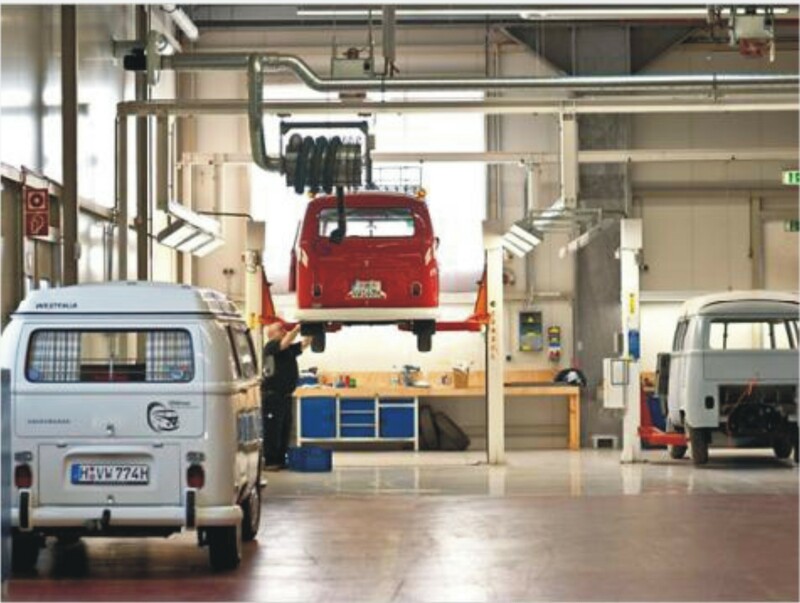 Interesting news from Volkswagen Commercial Vehicles (VW Nutzfahrzeuge), the division that builds the kombi: Beginning of April they started offering a restoration service to external customers, focusing solely on the bus (T1 to T4). A new service center has been installed in Hanover already in 2007, called Volskswagen Commercial Vehicles Oldtimers. It opened to external customers on April 1st this year and the first restored bus was delivered to a customer already in mid-April. The buses are taken apart and separate specialized units then overhaul the engine and the other mechanical parts and fix all rust problems of the body. Only original VW spare parts will be used, either from stock (VW Classic Parts) or newly made if not available any more. The completed vehicle comes with a certificate and full documentation. Partial restorations are also on offer. Of course this service does not come cheap, with hour rates of € 80 and the newspapers quoting VW on a Samba restoration costing up to € 100.000. 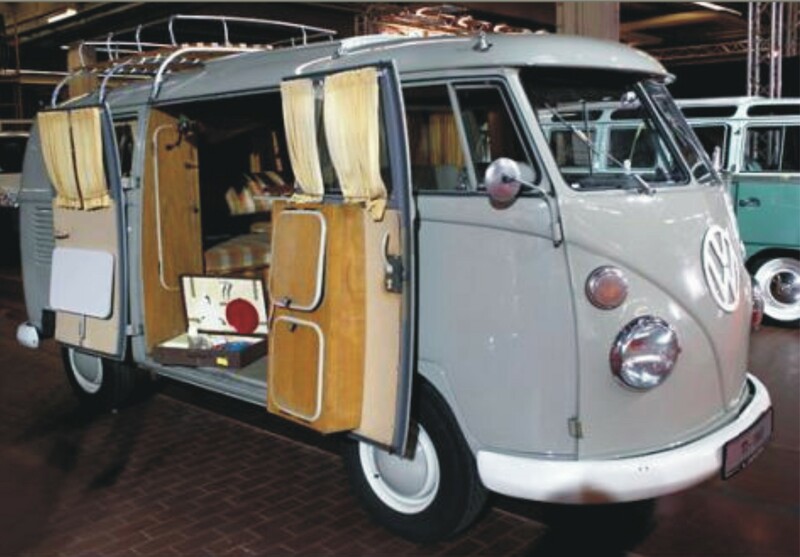 In preparation of this opening Volkswagen has purchased one hundred kombis of all generations which will or have been restored as well, as demo material for customers and for general PR. Visitors to the center in Hanover can have a tour of these vehicles on 7000 square meters exhibition space. Will add some photos below. Good to see that VW starts to appreciate what a dedicated fan community they have with bus drivers worldwide. 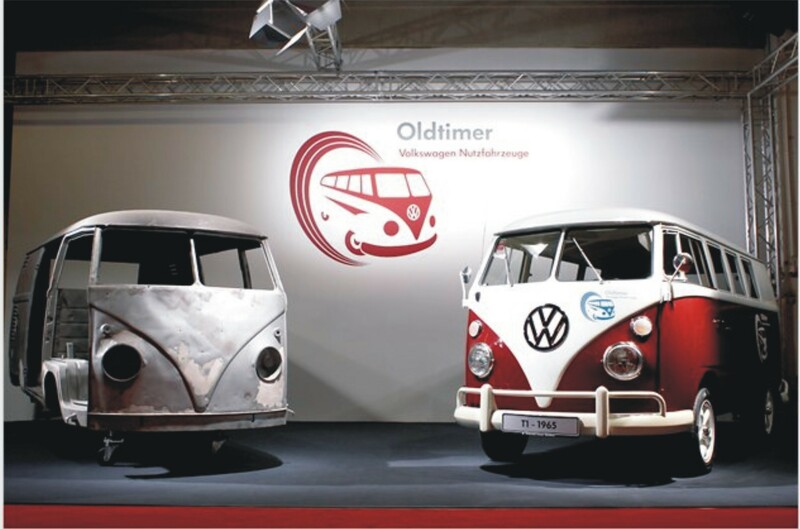 All was triggered by the overwhelming number of people and buses that joined the 60-years-of-VW-Bus festival 2007 in Hanover, which at the time had taken the board of Volkswagen quite by surprise. Perhaps there will also be more spare parts available for T2s at Classic Parts, now that they start to make missing parts from scratch again. Last time I checked they did not have much anymore for the pre-T3s. Photos from the opening of the VW Commercial Vehicles Oldtimer Center in Hanover, April 2012, taken from the N24 and Heise web pages (see links below). 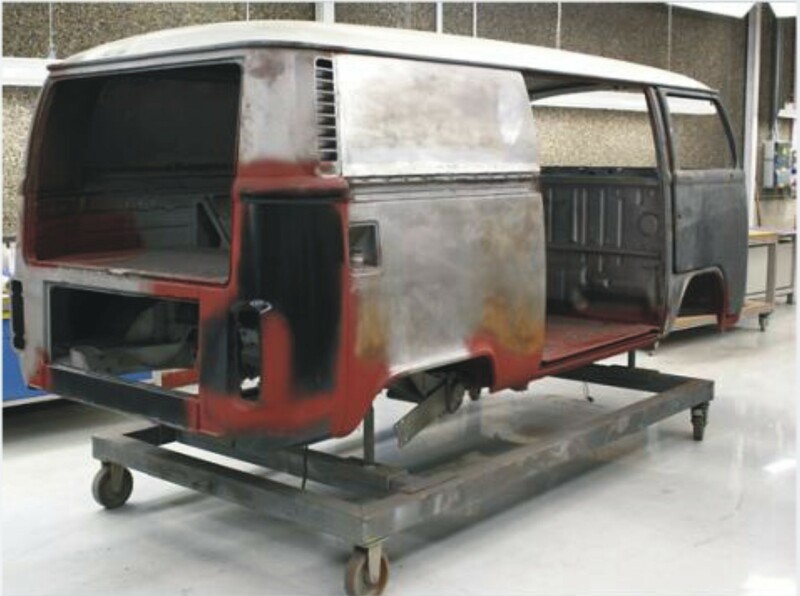 You will find many more beautiful photos of the restoration process and the already restored kombis when you click to these web articles: Heise, N24, both in German. Here is the link to the English press release from VW (you may have to scroll down to 29.03.2012).